During Act XII in Toulouse, several people were attacked by the antifas, including Vincent Lapierre and his cameraman, Media for All journalists. However, these show regularly the reality of the events and give the possibility to Yellow Vests to express themselves freely. Antifa (antifascist) is so blatantly pro fascist. Pro government and big business. One simply has to accept that the name chosen to represent this group of fascist thugs was done to deceive the naive. The gullible. The masses. Going on a rampage through Locke Street- Smashing windows, vandalizing everything in sight. Largely independent places of business were targeted. Why? Are there no corporate behemoths in Hamilton? Why sure there are! A lineup of customers at Donut Monster stretched around the corner at Locke and Charlton streets, where the new café's windows were among those boarded up after being shattered by rocks thrown by members of a group numbering about 30 Saturday night, dressed in black brandishing a banner that read: "We Are the Ungovernables." Hamilton police said damage to shops, cars, and homes in the area totalled about $100,000, and no injuries were reported. 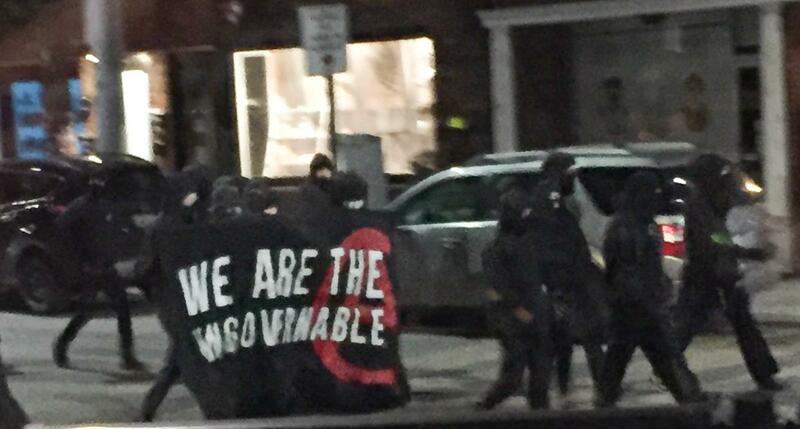 Police are investigating a possible anarchist group link to the vandalism that began just after 10 p.m., that Mayor Fred Eisenberger called "random and senseless." Moreover, some tweeted, corporate symbols, often the target of anarchist protest, were not attacked on Locke, but rather small businesses. Customers in some restaurants hid under tables in reaction to the sounds of glass shattering and firecrackers banging. Bitten on Locke co-owner Rebecca Tomasic had been locking up the shop for the night when she saw the mob approach. 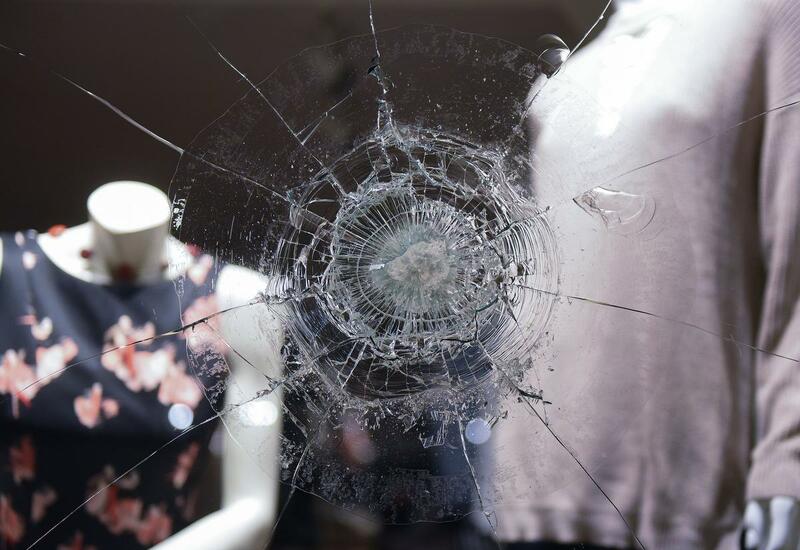 She ran to her car parked across the street and locked herself inside and saw someone in the marching group throw a large rock through her store window. "It was terrifying," she said shortly afterwards. Carmela Oliverio sat with friends inside Mattson and Co. restaurant on Locke and Alexander Street, when she heard fireworks and then watched as members of the mob threw eggs at their window. Pay particular attention to the way CBC reported on, or should I say, didn't report on this story? "Police say the man was holding a stick"
Does one get charged with assault for merely holding a stick? 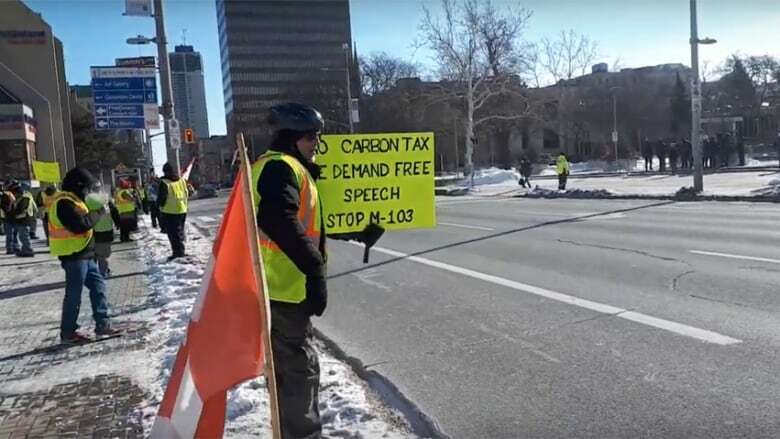 A group of people wearing yellow vests were picketing in front of Hamilton city hall at 11 a.m. Saturday when a group of counter-protesters arrived. There was a "verbal exchange" that escalated to physical violence in the middle of Main Street, police say. So, Yellow Vest protestors were protesting and Antifa (unnamed- free pass from media, always) showed up to instigate trouble. Intentionally? So it would appear! A 25-year-old man was charged with assault with a weapon, ( a little more then CBC's "holding a stick" claim) possession of a prohibited weapon (a knife of some sort?) and causing a disturbance. He was released on a promise to appear in court. The man was not part of the yellow vest group, says Staff Sgt. Michelle Wiley of Hamilton Police Service. The weapon involved was a stick, she says. One person received minor injuries and no one was taken to hospital. And then the CBC includes a smear of the entire protest...by using a guilt by association tactic. Saturday's Hamilton rally included Paul Fromm, a known white supremacist who ran for mayor last year. The yellow vest concept started in France, where people first donned the vests to protest a fuel tax increase. The Paris yellow vest protests later morphed into demonstrations against France's high cost of living, income equality and President Emmanuel Macron. Was the fellow charged just "holding a stick"? Come on CBC! Gotta watch out for that spin! Seeing that attack made me want to jump out of my chair and go after that ANTIFA thug....just as I did in my last anti-war protest in downtown Milwaukee when the police went after young protesters who joined us. I didn't think. It was a reflexive action. I pulled the thug policemen off the young protesters and then the police were on me. I'm in the mood to start up a yellow vest protest now... but in reality I am disabled now because of my arthritic hip and can barely walk as it is. VERY FRUSTRATING. I HATE THUGS. HAVE ALL MY LIFE. Hi Rick...I had for the second time a bully thug with his two giant dogs attack me this morning where I walk. It's a state law to keep dogs on a leash, in which he refuses. The first time I had to call 911 and the police said it wasn't their jurisdiction (State Park). Called the ranger and reported it but nothing happens...as is why the thug continues. So this morning I saw him walking ahead of me so I stayed back until he was out of the gate entrance. He knew I was staying back because he turned around and saw me. Nevertheless I continued to wait for him to leave. Unfortunately he made a big U turn at the gate and started back towards me. My ride was waiting for me on the other side of the gate. So I stood there (no where else to go unless I dived into the woods where his dogs would have chased me. I stood my ground until his dogs started lunging at me. I shouted to him to call his dogs off but he wouldn't. So as I have had to do...I slam my stick down (I don't have a gun) and yell like a banshee as it usually scares off the dogs, but it didn't. Like you...I went into defensive mode...and started yelling everything I could...which ended up as "I will kill your dogs if you don't call them off...AND if you come after me...I will kill you too." Believe me Rick I know the desperation when the rubber meets the road. If I had had a gun...the bully and his dogs wouldn't attack me anymore. ps: I am a woman who loves animals, nature and all things innocent. But dogs will take on the characteristics of their owners...and unlike wild dogs they are very unpredictable especially in a wild park. Unfortunately there isn't many wild animals anymore because of these thugs that think it's only their-back-yard to defile with no respect for anyone else. America is full of these f**kers and like you I HAVE HATED THUGS ALL OF MY LIFE TOO. I am with you and the true Yellow Vest protests...when I see these videos I come unglued. Don't worry about your contribution friend...you have already earned your stripes. Well done. Thanks for your comments, wallflower. One doesn't get accolades for opposing jewish interests... as you well know. I believe that the quantitative easing has replicated the situation of the very early thirties. History never repeats exactly but it does follow the money into the predictable aggregate outcome. re: the quantitative easing and now it's being reeled in..
that's a contraction in the money supply, along with the higher interest rates... what might this bring on. money circulating is like blood flowing through the body.